F. Scott Fitzgerald, a fairly decent writer in his time, famously opined that "there are no second acts in American lives..." Present day United States Presidential considerations aside, Francis' remark need not apply to the current line-up of a band of "merry men" which is about to fly once again under the banner of Satellite Paradiso. 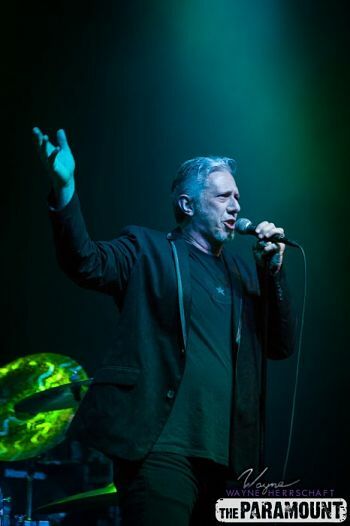 The group is commandeered by Psychedelic Furs founder and bona-fide guitar icon John Ashton, who, incidentally, is an affable Brit residing happily ever after with his family in upstate New York. 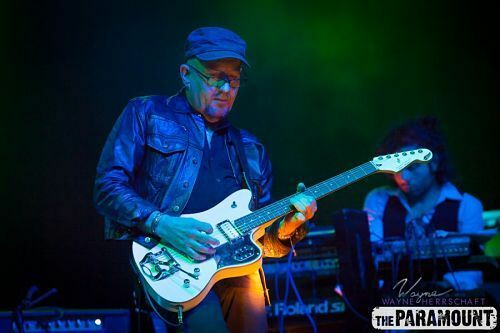 I first chatted with John for Huffington Post back in the heady days of 2014 (A Psychedelic Fur's Journey to Satellite Paradiso - http://huff.to/1brlpLb) upon the release of Satellite Paradiso's brilliant debut collection which initially appeared on the Pledge Music platform. Ashton's collaborators on that self-titled slab were an extraordinary posse of like-minded artists who brought the guitarist/producer/composer's futuristic visions to fruition. The album will now be released on May 27, 2016 on Mi5/Universal. For the record, Paradiso's recorded bow featured: Fred Schreck (The Ancients/Crush), Sara Lee (Gang of Four/B-52′s/Todd Rundgren), Gail Ann Dorsey (David Bowie/Lenny Kravitz/Tears for Fears), Roger Morris (Psychedelic Furs/Castle Bravo), Duncan Kilburn (Psychedelic Furs/The Strangers), Frank Coleman (Bentmen/Secret Agent), Paul Ferguson (Killing Joke),Paul Garisto (Psychedelic Furs/Iggy Pop), Don Yallech (Psychedelic Furs), BP Hurding (X-Ray Spex/Classix Nouveaux), Mars Williams (Psychedelic Furs/The Waitresses/Liquid Soul), Amanda Kramer (Psychedelic Furs/World Party), Jo Quail, Jonathan Donahue (Mercury Rev), Jane Scarpantoni (Lou Reed/Yeah Yeah Yeahs), Alexandra Cutler-Fetkewicz (Chamber Orchestra of Philadelphia), Louis Schwadron (Polyphonic Spree/Sky White Tiger), Mark Volman (Flo & Eddie/The Turtles/Frank Zappa/T.Rex), Jen Gloeckner, and a cat named Cheetah Chrome (Dead Boys, Rocket From the Tombs). Pretty impressive, and a testimony to the respect Ashton carries among his peers. A touring version of Ashton's massive collective, which included Schreck, Coleman, and Sara Lee, among others, played a few highly-acclaimed shows, then returned to their respective lives as family men and women, producers, musicians, parents, and assorted career endeavors. A year or so later I met up with Messrs. Schreck and Coleman in hipster Brooklyn for The Ancients record release party - a project which the singer and Morgan Visconti embarked on over twenty years ago as detailed in Huffington Post - Back to the Future with Fred Schreck and Morgan Visconti: The Ancients (http://huff.to/1Sd66dV). Both Fred and Frank pined for the return of Satellite Paradiso. Then they plied me with drink! 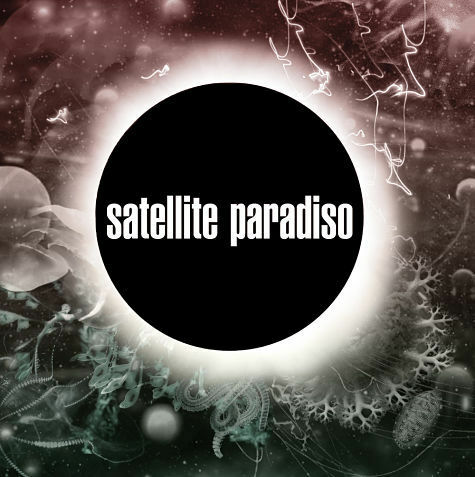 The good news, for them and us, is that Satellite Paradiso is back and in the flesh. 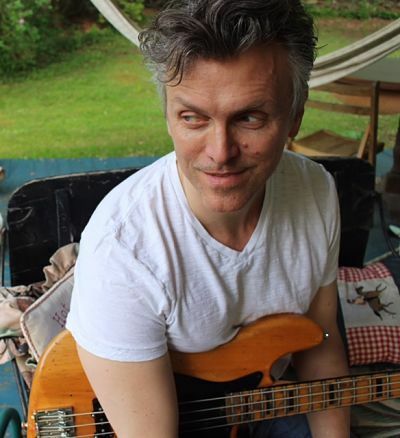 Ashton, Coleman, and Schreck are hitting the road for a brief sojourn with their new bassist Robert Burke Warren, whom you might recall from The Fleshtones, among several other impressive accomplishments. Additional members are a possibility, but have not been confirmed at press time (whatever that means), because that's the way rock 'n' roll really works. "I'll never forget the Mudd Club show we did the first time we played the United States...and Danceteria with Poison Ivy in the front row...banging their heads on the stage...we did the Hammersmith Palais a couple of times in London...I always loved that venue, it's a great old theatre...the Beacon shows over the years I've enjoyed ... The Pier show that we did in '84 when Talk Talk were opening for us...and I'll never forget CBGB...I remember playing in some weird and wonderful places...festivals with over 200,000 people...oh and I can't forget Radio City! But I'll tell yer what, my favorite, favorite, favorite place to play and see bands as well is Irving Plaza. I always get such a great feeling when I see a band there or when I play there -hopefully Satellite Paradiso will play that place soon..."
Ashton is also busy working with a wide array of artists as a producer, songwriter, guitarist, and engineer with his own production company aptly named John Ashton Music. (http://johnashtonmusic.com). He welcomes new clients while his passion for the stage remains unabated since the days when he and his former mates were staples on MTV along with a rather progressive platform known as FM radio. "I just wanted to ask you to make sure you name checked Roxy, Bolan, Bowie, Alice Cooper and, of course Black Sabbath, Deep Purple and the mighty Led Zeppelin! None of this would have been possible without them! It was watching Bowie, Bolan and Roxy on Top Of The Pops that got my juices going..."
Mr. Schreck's juices are also going...going... Among Fred's most cherished moments under the bright lights was during his time with The Ancients on the occasion when he was introduced by friend and staunch supporter Joey Ramone. "Just to see all six-foot-six of him walk out on that CBGB stage where he got his start - I expected him to do this big buildup and he just came out in his Joey way and said 'I wanna introduce ya to da Ain- centz....' That's all I needed ..."
"Now I approach everything as if it's the last time I'm going to do it..." says Mr. Schreck from his Nashville home. "When I'm on stage, it's a Zen moment for me." Fred and I also discuss the fact that oft times his bandleader does not garner the recognition he so richly deserves as an innovator on his instrument. Notes Schreck: "you know, it's our job now to remind everyone just how great John is. John is the architect of those classic songs. He is as unique as The Edge, Will Sergeant, and Johnny Marr - all of whom have higher visibility. Everybody in the band feels that way, and fans feel that way. And I'm not speaking as his band-mate, I am speaking as a true fan." Another fan is firmly seated in the drum chair - Frank Coleman. On stage since the age of three, and born into a theatrical family worthy of a PBS documentary, the dude nicknamed "Bones" is the eternal optimist - as he should be. "I've had a lot of good luck in life just asking for things; whether it's a gig or doing a film score or playing in a band. My music teacher taught me two great lessons: if you don't blow your own horn nobody's going to do it for you...and put your money where your mouth is! And that has stood me well..."
Coleman's yarn of how he became a Paradiso is uproarious. He first made contact with Mr. Ashton by way of Facebook. "Oh my god, John Ashton is on Facebook, one of my favorite guitarists ever!" he recounts with genuine glee. Coleman, as is his nature thereby summoned the universe. "I wrote to him" exaggerates Coleman. "Dear Mr. Ashton, founder and former guitarist of the Psychedelic Furs. I am not a guy who lives in his mother's basement, who has never known the touch of a woman. I am not some sweaty, pulpy mass of festering flesh, sweating like a rancid chunk of pork. I am a real, bona fide musician and I just gotta tell ya; I'm not a fanboy but every time I see you show up on my Facebook wall I go 'yes!' You've contributed to the soundtrack of my life for the past thirty odd years....and I was just thinking, I have this project I thought might possibly be up your alley if you had the time and inclination --it's called 'Secret Agent and Spy Movie Music' and I'm thinking this is sort of off the beaten path - this is not 'will you please play on my album...."
Ashton acquiesced to collaborate with the drummer who, as I have witnessed, is not a heap of perspiring meat from a domestic pig. 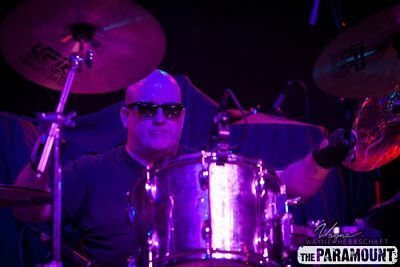 Coleman returned the favor to Ashton - playing on six Satellite Paradiso tracks, helping to design the album art, and serves as the band's official stick (and shtick) man. Professes Robert: "I felt like I'd known him all my life. I told him if he ever needed a bass player for gigs, call me. Although I've worn many hats as a musician - songwriter, guitarist, front-man - I have always been most comfortable as a bassist. I spent my first ten years as a musician just playing bass, and I've missed filling in that space in a band. And Sara Lee and Gail Ann Dorsey's bass parts are fantastic! I love the drama of the songs...the emotional depth wrapped in John's signature playing, and of course Fred's intense singing and Frank's take-no-prisoners drumming. It's been a few years since I plugged into a bass amp and laid it down, but I've been practicing in my house in the woods and I'm ready and eager to hit the boards with these guys..."
Warren has just released his debut novel Perfectly Broken (The Story Plant -2016) - which I highly recommend. The three Paradisos look forward to working with the accomplished bassist, to which Schreck additionally reveals "he's a great player, and his hair is fluffier than mine..."